I’m on a bit of a psychology-lit kick recently, after reading The Alienist last week and being reminded on my days studying A-Level psychology I remembered this curiously named book that my equally curiously named psychology teacher (Mr. Badger) recommended to the class. So about 2 years since I got my A-Level results I’ve finally taken the recommendation and read the book. I was certainly not disappointed. The book is a collection of case studies focusing on the most interesting patients that Dr. Sacks has encounted in his work as a neurologist. The style of writing in a way harks back to the late 19th century and early 20th century psychologists, like Freud, who blended literary techniques of story-telling with technical psychological language in their case studies. 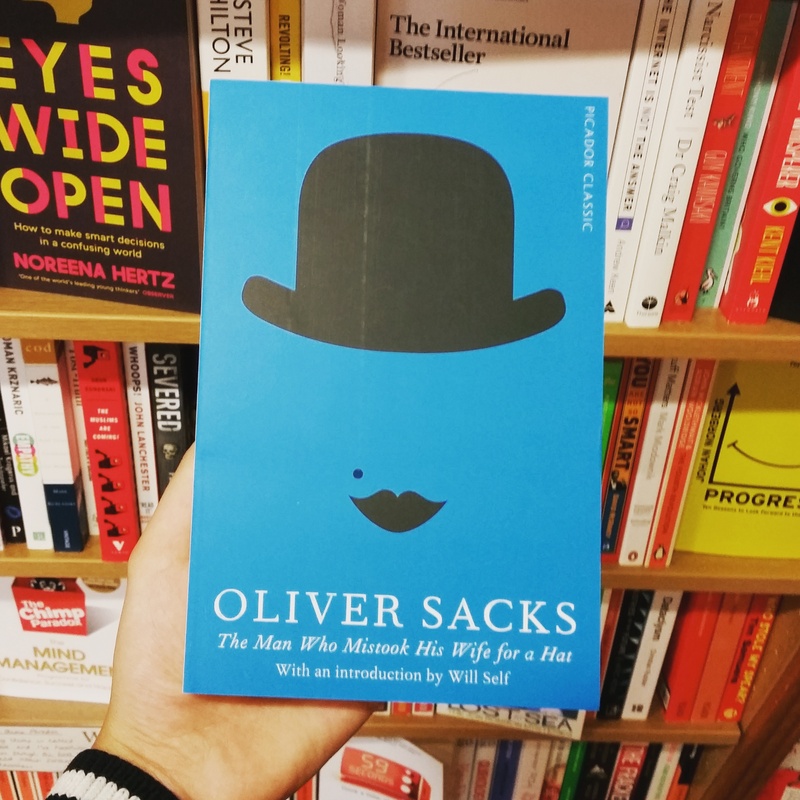 Sacks presents his patients as people whose brains just happen to be very different from the norm, they are just as interesting to his scientific mind as they would be to any reader without any sort scientific background. His book, first published in 1985, has paved the way for case studies being more seriously considered within the medical community. The cases presented in this book are various, some hilarious, some very sad. Including autistic twins who appear to ‘see’ prime numbers, the titular man whose brain damage means he can no longer recognize faces, an old man who believes to still be living in 1945, and another man who did not recognize his own leg – waking up every morning on the floor having throw this dead lump out of the bed only to find his body followed it. These were just my favourite cases in the book but there are many more. All the cases are equally interesting and are not overly clogged down by technical terms, although Sacks does not patronize the reader he introduces us to some technical terms using the cases as examples. This book is a fascinating journey through the brain, the body’s most complex organ. I’m sure everyone knows that in the amazon rain forest when it rains it rains, in the injured brain this rain might turn into a hailstorm of Irish folk songs. Essentially nothing is straight forwards when it comes to the study of the brain and brain injuries and that’s what makes this body so interesting, every case is in some way unique and characterful. This book reads simultaneously as a collection of scientific articles and a short story collection, and therefore appealing to a literary or a scientific brain.